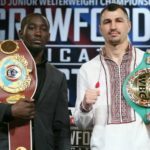 Terence Crawford produced one of the best performances of his career as he defeated Viktor Postol in what was a very one sided unanimous decision victory on Saturday. Crawford now makes a claim for big money fight most probably against Manny Pacquiao. Absolute class performance by Terence Crawford who pretty much walked through a very solid boxer in Viktor Postol. There were rumours before the fight that the winner will get the big payday against Manny Pacquiao who might have second thoughts after watching Crawford’s display. 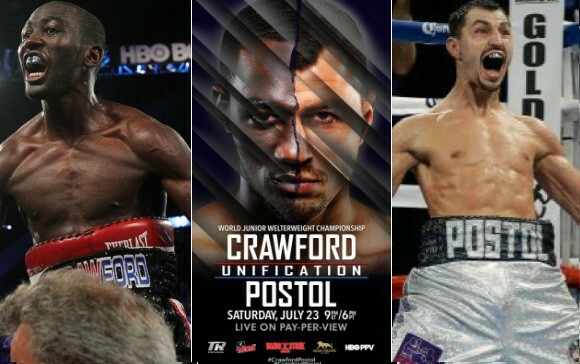 Crawford vs Postol TV Coverage: Terence Crawford vs Viktor Postol will headline the HBO pay per view card which also feature couple of quality fights including Oscar Valdez vs. Matias Rueda and Jose Benavidez Jr. vs. Francisco Santana. The coverage starts at around 09:00 p.m ET / 06:00 p.m PT with HBO PPV broadcasting the fight live throughout the US priced at $59.95. While UK viewers can subscribe to BoxNation for around £12/€15 a month (no contract required). Both Crawford and Postol comes into this fight with identical unbeaten records of 28 wins out of 28 fights. Crawford obviously has age advantage and also posses more knockout power as his 20 knockouts in 28 fights suggest while Postol is more of a slick boxer who has a knockout ratio of just 43%. Its all setup for a grand fight with two evenly matched boxers and even bookies has been struggling to separate the two going into the fight weekend. Terence Crawford is coming into this fight on the back of a devastating win over Henry Lundy back in February 2016 when he stopped Lundy in just 5 rounds. Postol on the other hand recorded one of his career best wins when he stopped Lucas Matthysse in 10th round back in October 2015.